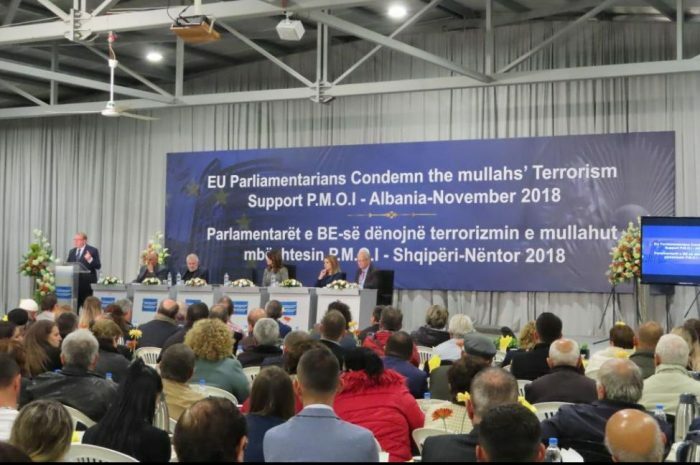 The former Scottish member of the European Parliament (MEP), Struan Stevenson recently wrote a piece for UPI exposing the full extent of the Iranian regime’s misinformation campaign to vilify and demonize the People’s Mujahedin Organization of Iran (MEK). Stevenson traces the MEK’s exodus from Iraq in 2013 when the first Iranian dissidents arrived in Albania. They were “plucked to safety from the hell they endured in Camp Ashraf and Camp Liberty”, he writes. The Iranian regime had launched a campaign to liquify the camps and slaughter the MEK. In deadly attacks on Camp Ashraf and Camp Liberty, the regime killed 168, injuring more than 1,700. Around 3,000 MEK members escaped the ordeal and were airlifted to Albania. Once there, the UN High Commission for Refugees granted them special accommodation in the Albanian capital, Tirana, where they found respite and safety. “The Iranian mullahs were appalled”, Stevenson writes, “their attempts to liquidate the MEK… had been thwarted”. Now the mullahs became obsessed with preventing the Iranian opposition from establishing another Camp like Camp Ashraf on foreign soil. Almost immediately the mullahs embarked on a campaign designed to demonize the MEK. Their intention was to attack the MEK in the Western media, thereby legitimizing its frequent use of violence against the resistance group and hoping Western governments would believe their lies and deny MEK members sanctuary on their soil. The regime has orchestrated extensive social media campaigns aimed at spreading misinformation. In its most recent campaign, Twitter was forced to close 770 regime-linked accounts. Many accounts pretended to be foreign journalists and citizens, publishing regime-affiliated, anti-MEK content. Alongside this vicious demonization campaign were violent attacks against the MEK and its members. In June, a regime plot to attack the MEK’s Grand Gathering even in Paris was exposed. 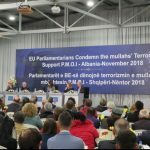 Similar attacks were also planned against MEK members in Albania and the US. Before long, the MEK members living in Albania realized that to protect themselves, they had to take matters into their own hands. Stevenson writes, “the MEK refugees had purchased some farmland near Manez and began the hurried construction of living accommodation.” They accommodation became Ashraf 3, a fortified compound where MEK members could live in peace, protected by security, and come and go as they pleased. Stevenson had the opportunity to spend three days at this new facility. He writes, “these hard-working and resilient freedom fighters have constructed a small city with shops, clinics, sports facilities, kitchens, bakeries, dormitory blocks, meeting halls, offices and studios”. His description stands in stark contrast to the picture the mullahs paint of the compound. They suggest it is like a prison where members are forced to remain against their will and even basic human rights are violated. “They claim that defectors are tortured and even murdered”, Stevenson writes, “it is an absurdity”. One of the most deceitful stories promoted and disseminated by the Iranian regime is that of Somayeh Mohammadi. The regime leadership asserts that the 38-year-old is being detained in the camp against her will. “I met Somayeh on my visit on my visit to Ashraf 3”, Stevenson describes. “She was alone and unaccompanied by the “minders” that her father claims always accompany her”. Stevenson went on to describe how Somayeh told him that she had disavowed her father many years ago when it became apparent he had become an agent of the regime. She told Stevenson that she is free to leave the compound whenever she so desires, adding that she is a “proud and committed member of the MEK”. Stevenson called on Western media outlets to be more discerning in their publishing of reports attacking the MEK. He described how a recent national newspaper in the UK published a three-page article attacking the group and furthering the mullah’s vile objectives. The same article appeared on a pro-regime website weeks before it appeared in print, demonstrating that the source of the article was not the Guardian itself, but a pro-mullah group. Stevenson writes, “it is for me a great sadness that there are journalists today who ignore… the truth, preferring instead to abuse and traduce men and women who have given up their professional careers and family life to devote themselves to the cause of ending oppression and tyranny in Iran”. Stevenson concluded with messages of hope and optimism. “But no one will be fooled”, he proclaimed. “When this evil dictatorship is toppled, history will record the names of those journalists who played this dishonest game in a roll call of shame”.